That might be putting it lightly. 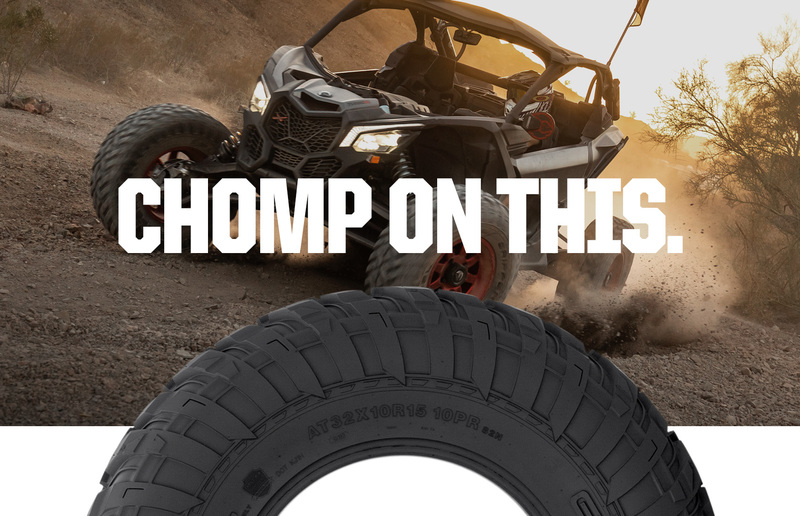 From recreation to race, the Gripper UTV tire lineup is your ticket to thrills. it’s time to get out and rip. 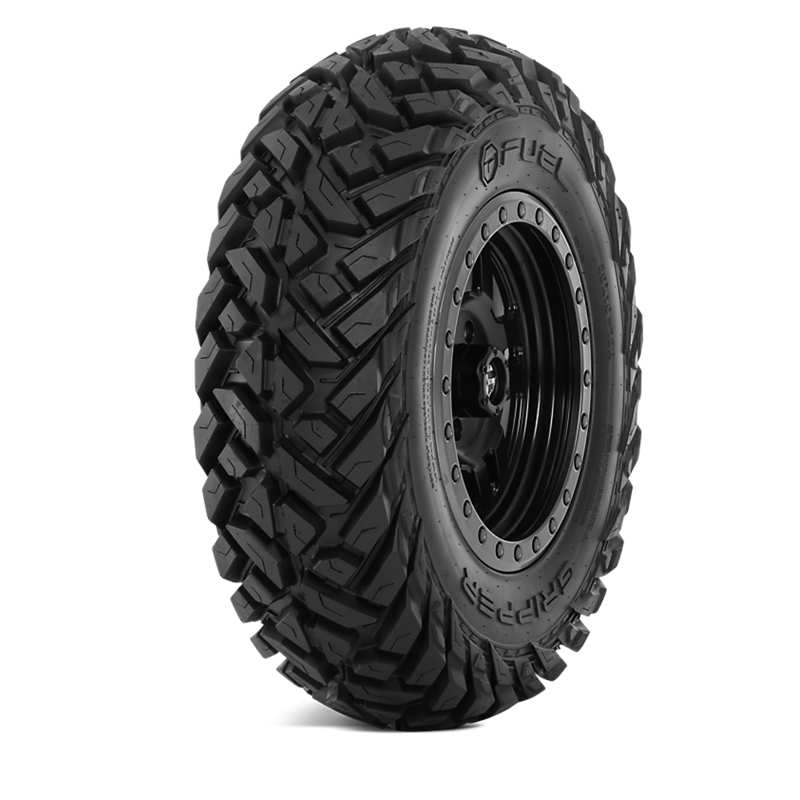 We’re excited to offer DOT-approved Fuel Gripper UTV tires. Tested in the toughest conditions so you never have to end your adventure early. 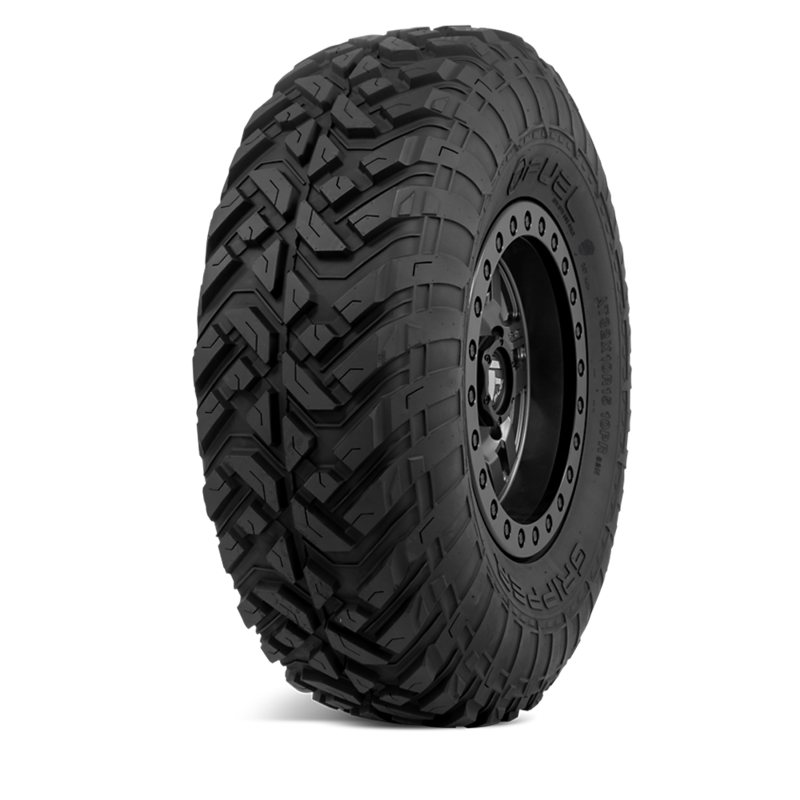 The Gripper UTV is the tire that’s strong enough to blast through the open desert and also features channeled tread design to cut deep into the mud and loam. 02. Large “F” blocks on tread pattern increase grip off roads. 03. Tire shoulder block design timproves lateral grip and impact resistance. 05. Large block pattern design extends to the sidewall, greatly improving the sidewall impact resistance. 06. Sidewall protruding small pattern further improves the sidewall impact resistance. 07. The Rim Protector Design protects the rim from shock damage. 08. 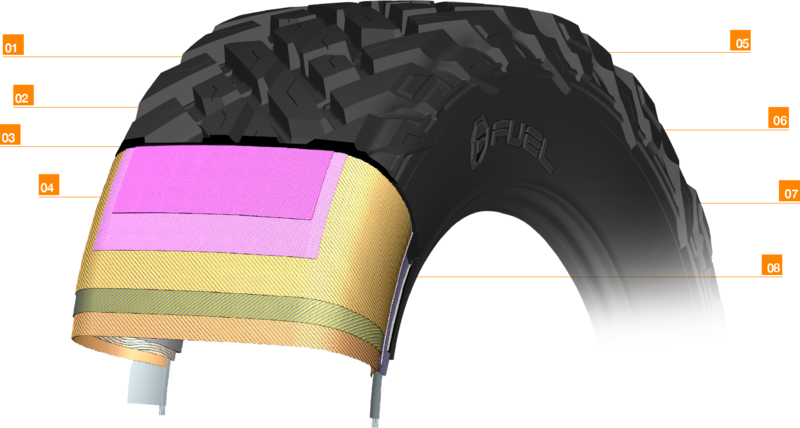 4-Ply Nylon sidewall carcass design improves tires stability and durability, and ensures high-strength impact resistance. Tested at the longest desert race in U.S. - BITD Vegas to Reno - the 32” Gripper R/T tire performed flawlessly. 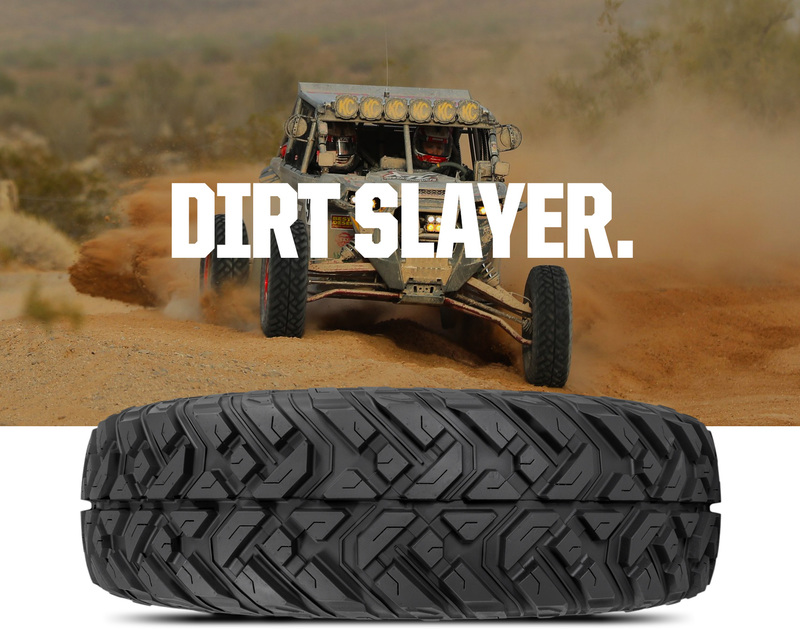 Built with a 10-ply rating and our lightest casing yet at under 40lbs, the tire features aggressive side lugs for added puncture resistance without sacrifing weight. 02. 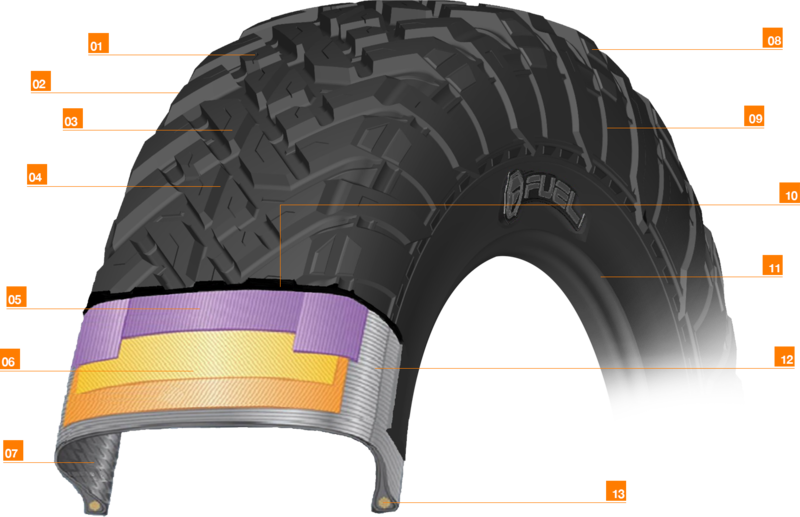 Tire shoulder block design improves the tire lateral grip and impact resistance. 03. 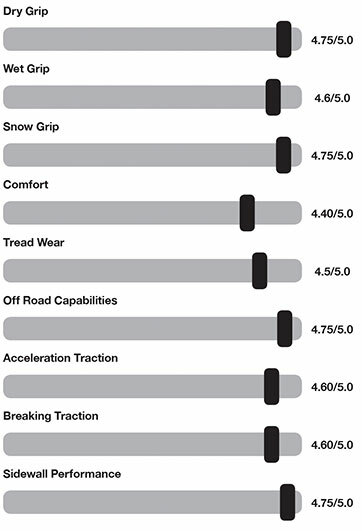 Huge blocks on tread pattern heighten the grip effect while off road. 04. 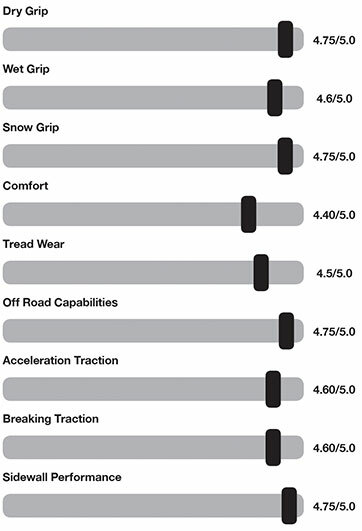 Large deep groove pattern, greatly improves the tire grip while providing higher wear resistance. 05. Double seamless wrap tape tightens tires to further enhance high speed durability and impact resistance. 06. Double-layer high-strength belt steel wire to ensures the performance of the tire. 08. Large block pattern design extended to the sidewall - greatly improves the sidewall impact resistance. 09. Sidewall protruding large block pattern further improves the sidewall impact resistance. 10. Thick Base Rubber Design protects the tire - not easy to pierce. 12. 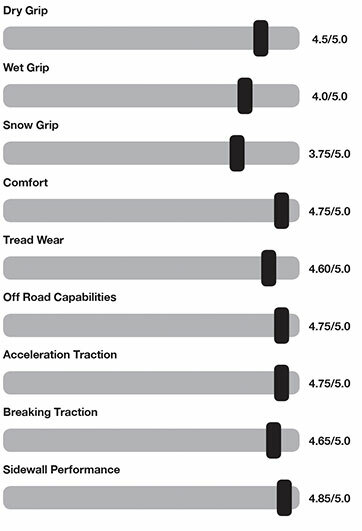 2-layer carcass design improves tires stability and durability, and continues to ensure high-strength impact resistance. 13. Single high-strength steel wire seamless seaming, so that the tire and the rim tightly integrate to further protect the tire safety. By maintaining the 10-Ply DOT rating and lightweight casing, and adding our new proprietary Aramid fiber reinforced sidewall, we have taken our Gripper R/T to the next level. Ultra strong and lightweight, the Aramid Fiber sidewall adds unparalleled strength and puncture resistance without a weight penalty.